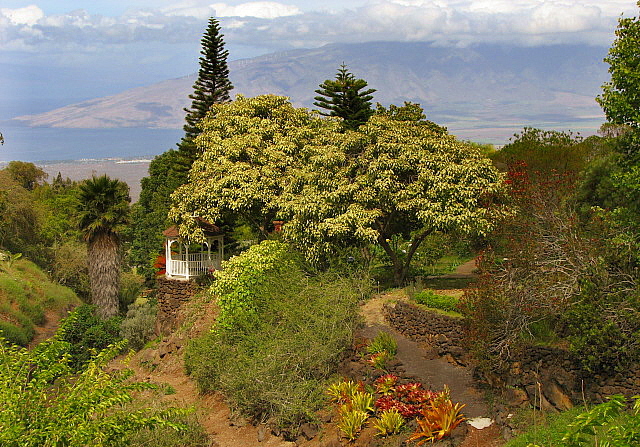 The Kula Botanical Garden is an 8-acre botanical garden located in Upcounty Maui, Hawaii. It was established in 1968 as a display garden for the landscape architecture business of Warren and Helen McCord. 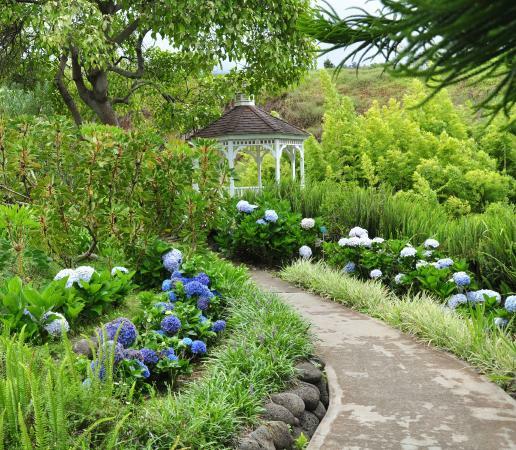 Home to over 2,000 plant varieties, the garden was eventually opened to the public and became a Maui tourist destination which draws thousands of visitors every year. 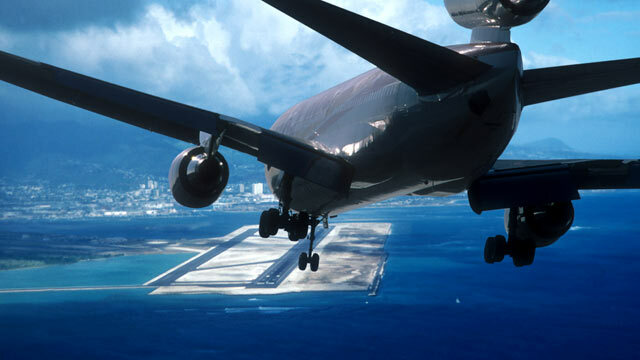 The garden boasts of an impressive collections of exotic plants such as protea, orchids, bromeliads, native Hawaiian plants, as well as trees including koa and kukui. Plants are labeled with their botanical name, common name, and country of origin. 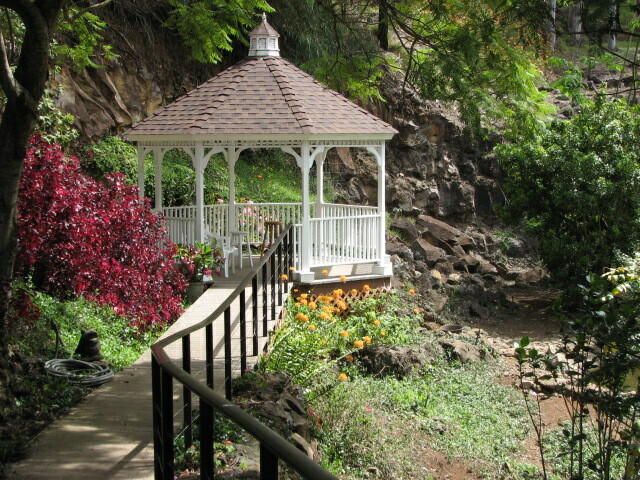 Adding charm to the lush landscape are a flowing stream, amazing rock formations, waterfalls, koi pond, gazebo, covered bridge and aviary. 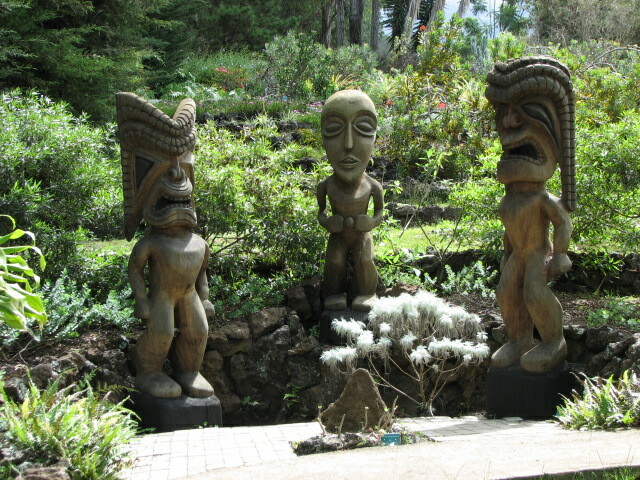 The latest addition is the carved tiki exhibit. There is also a gift shop selling made-in-Hawaii products and botanical-related items. Snacks and refreshments are also available for sale while a deck provide amazing panoramic views of Maui. The Kula Botanical Garden is located on Kekaulike Highway (Highway 377) near the Kula Highway (Highway 37) junction in Maui, Hawaii. 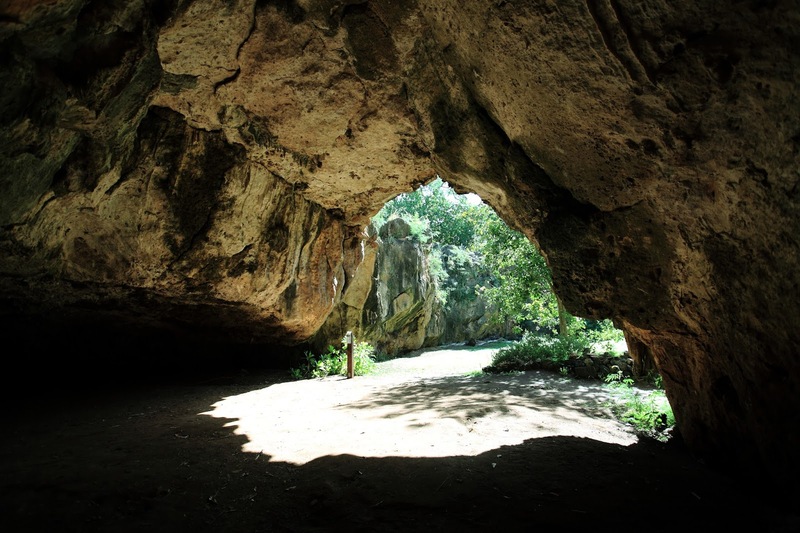 It is open daily from 9am to 4pm. An admission fee of $10.00 for adults and $3 for children ages 6–12 is charged. Children under six are admitted free.